Pink Velvet Couch Productions™ and Pamela Chatry are pleased to bring you the next Women in the Spotlight Dinner featuring Lindsay Sealey. 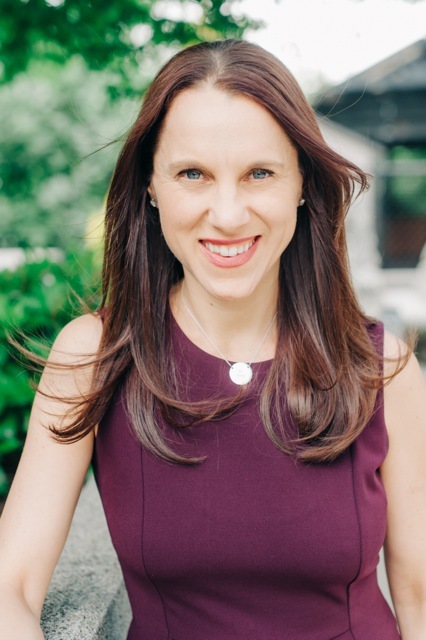 Lindsay Sealey, the author of Growing Strong Girls: Practical Tools to Cultivate Connection in the Preteen Years, holds an MA in Educational Leadership from San Diego State University. A passionate girl advocate with formidable public speaking experience, she has worked in consulting, curriculum development, and special education for more than 15 years. Lindsay is the founder and CEO of Bold New Girls: a teaching and coaching company for girls and young women and their parents. Lindsay has appeared on CTV’s The Social, Global’s The Morning Show, and Toronto’s The Agenda. As well, she has spoken on NewsTalk 1010 Radio (Toronto), CJAD 800 (Montreal), and CBC Radio (Canada). Lindsay is a contributor to the Globe and Mail and HuffPost Canada. She has been featured in the Toronto Star, Canadian Family, and Today’s Parent. Come hear the story behind the success of this incredible business woman. You'll be moved, inspired and motivated. Get up close and personal with this dynamic and compelling business leader. Hear how she did it, what she's learned, and what she wants you to avoid. Be inspired to take your business to the next level!